We sell vintage prints on Amazon and it’s always a thrill to see what other art lovers actually do with their prints. So when a lovely lady named Sonia, who lives in Chile, sent us these pictures we were so excited! 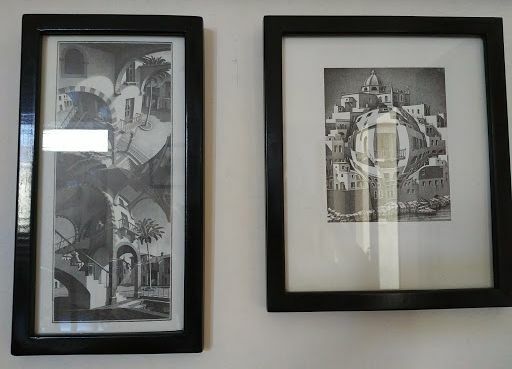 Sonia bought several works from artist M. C. Escher and you can see what she and her hubby have done with them. Prints are great sitting in a packet but when hanging on the wall, they’re breathtaking. Escher was an amazing artist because his work included so much geometry. You can study his work – and still not understand how he created his masterpieces. 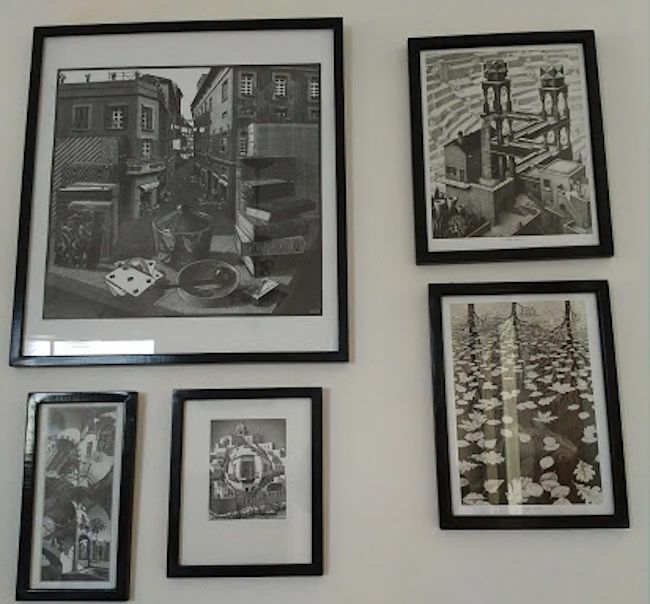 We bought these particular prints at an exhibition at Harrod’s department store in London and have many of his prints hanging on our own walls. If you want to have your sense of reality shaken up a bit, examine some Escher art. 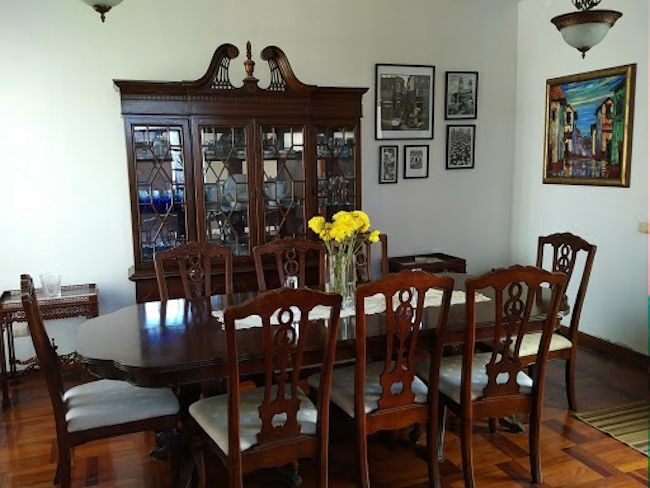 Sonia, thank you so much for sharing! You are much appreciated.